Chief of Staff for the Trump administration John Kelly has a Master of Arts in National Security Affairs and a Master of Science in Strategic Studies. On top of that, he’s a retired Marine Corps General, former commander of the United States Southern Command and the former commanding general of the Multi-National Force West in Iraq. Of course, he was also the U.S. Secretary of Homeland Security prior to his current job in the White House. U.S. Rep. Cedric Richmond said Tuesday (Oct. 31) that John Kelly “needs a history lesson” after the White House chief of staff attributed the Civil War to “the lack of an ability to compromise.” The New Orleans Democrat criticized Kelly for remarks made the night before on a Fox News television talk show. 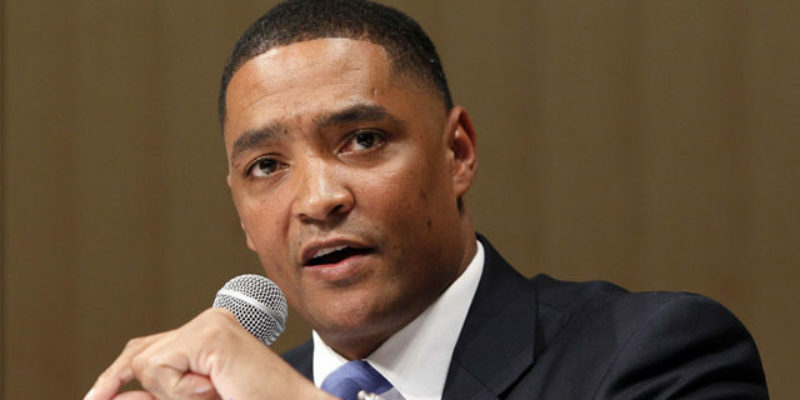 “The Civil War was not a disagreement between ‘men and women of good faith on both sides,’ Richmond said in a statement released by the Congressional Black Caucus, which he chairs. “It was a struggle for the soul of this country. Thankfully, the right side won the war and slavery is no longer the law of the land. Of course it’s not surprising Richmond would think this. The mainstream media has made it easier and easier to correlate any nuance about the Civil War into automatic racism, and Richmond’s statement is part of a larger effort to rewrite the entirety of American history as part of a larger progressive narrative of white, cisgendered males ruining everything for everyone else. Although Richmond and a lot of op-eds out today wouldn’t have you believe it, there’s more to the Civil War and America than race, and it’s in fact wrong to judge every historical figure from the 1800’s solely by their position on slavery. Kelly knows his history- military and otherwise – and can understand that you have to study a historical figure by the context of the times he lived in. Richmond and his ilk only care about history insomuch as it can be used as a political tool to bludgeon their opponents. We can understand that slavery is a bad thing. We can also understand that Robert E. Lee was an honorable man. It’s possible for both of these statements to be true because history bears it out. It shouldn’t be this hard, guys. It never used to be this hard to walk and chew bubble gum at the same time. You can read Robert E. Lee, Solomon Northrup and Abraham Lincoln and find value in all of them. In fact you really have to do that in order to understand the Civil War at all. You can also understand that these historical figures are people and accept the best and worst of what they did in their lifetimes. It certainly doesn’t make you a racist (Lee was anti-slavery, by the way). It’s also pertinent to note that in the midst of all this, crime in New Orleans is spiraling to new lows. So while Richmond is busy politicizing history and calling a decorated military general stupid, he himself is partly responsible in shouldering the decline and fall of one of America’s greatest cities. Wonder what history will make of that? And with that, I’ll leave you with a song from another man who understood Lee’s place in history, Johnny Cash.